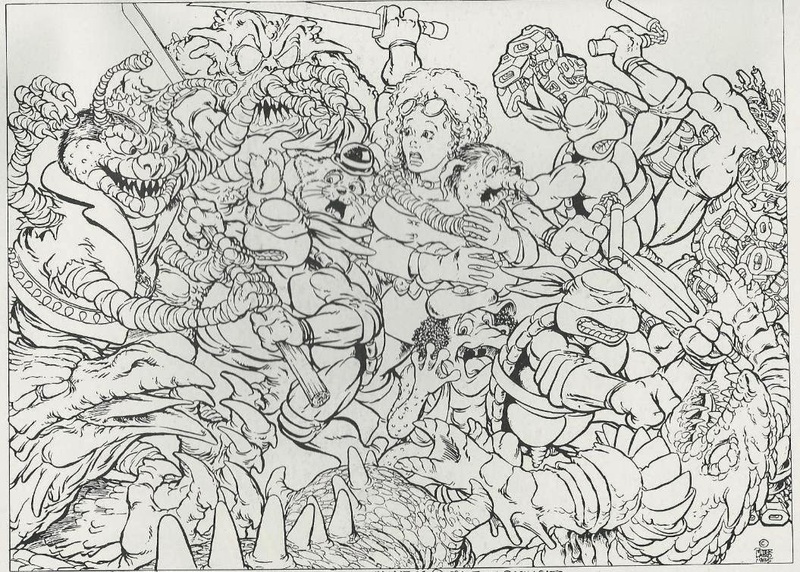 *A Prime Slime Tales short comic had previously been published in TMNT (Vol. 1) #6 to tease the ongoing series. I own the first three issues of Prime Slime Tales and I honestly don't know if there were any more. Mirage's official website only keeps track of the issues that contained TMNT material and not Mirage's full catalog of publications (and the third issue was actually published by Now Comics, now that I look at it). Kind of a bummer, since it makes finding info on those books a pain (and some of them were really very good). Prime Slime Tales didn't really do it for me, I'll admit, but like all of the folks working for or with Mirage, Basilicato was an excellent cartoonist and there's a lot of manic energy in his comics. I'd recommend tracking them down if only to get a feel for the other stuff Mirage was putting out in their heyday besides the Turtles. In that regard, Bade Biker & Orson and (of course) Gizmo are also gems to collect (and can usually be found in the dollar bins). This issue contained a neat bonus pin-up by Peter Laird, so I figured it'd be worth a share. 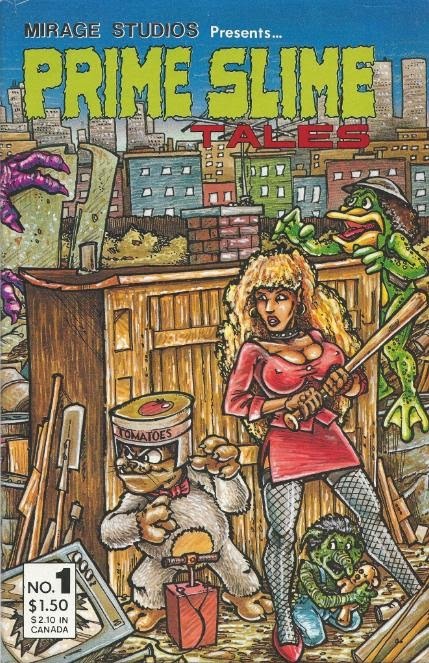 I don't intend to catalog all of Mirage's non Turtles publications save Gizmo ('cause I really like Gizmo), but if they have any unique TMNT content in them I'll try to include them for reference's sake. If you need any help restoring the old images this page my be useful. I think now would be the best time to start reviewing the TMNT theatrical movies and all related comics (including the Sushi Turtles stuff), Mark. FFS, let him fix his site, John!